INSTRUMENTATION AMPLIFIER With Precision Voltage Reference. 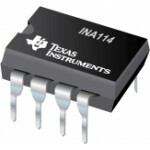 The INA125 is a low power, high accuracy instrumentation amplifier with a precision voltage reference. 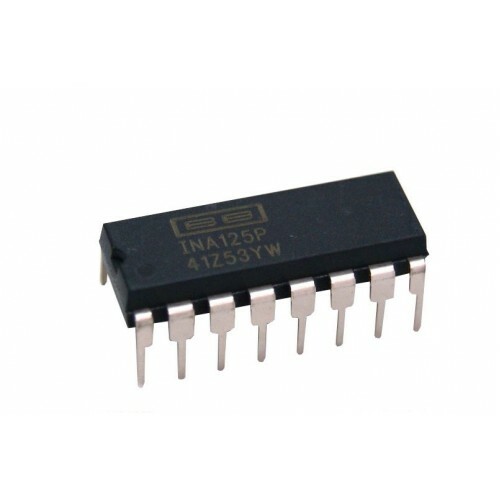 It provides complete bridge excitation and precision differential-input amplification on a single integrated circuit. The voltage reference is externally adjustable with pinselectable voltages of 2.5V, 5V, or 10V, allowing use with a variety of transducers. The reference voltage is accurate to ±0.5% (max) with ±35ppm/°C drift (max). Sleep mode allows shutdown and duty cycle operation to save power. The INA125 is available in 16-pin plastic DIP and SO-16 surface-mount packages and is specified for the –40°C to +85°C industrial temperature range. 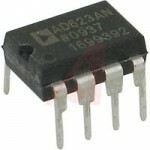 AD623 Instrumentation AmplifiersThe AD623 is an integrated, single- or dual-supply instrumentation a..
INA114 Instrumentation AmplifierThe INA114 is a low cost, general purpose instrumentation amplifier ..
INA122 Instrumentation AmplifierINA122 is a precision instrumentation amplifier for accurate, low no..